A new linky party has started at Paper Issues. It's called Hooray for the Red, White and Blue, sponsored by Therm O Web. Stop by and check it out for a chance to win an assortment of Therm O Web products. What a wonderful layout! I love the papers and the theme of this. Beautiful layout, Lisa, off to check out the latest Linky Party! Beautiful page - love the papers. 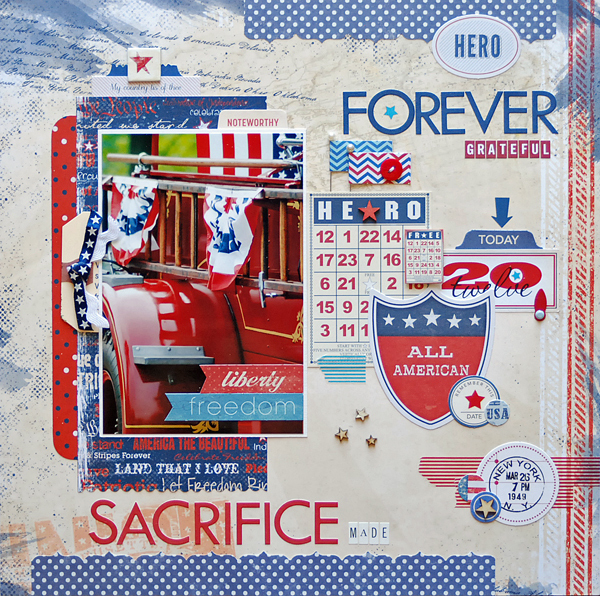 Awesome patriotic layout Lisa!! Love it! Love love love this!!! LOVING that photo and the colors!!!! saw this one and thought it was GREAT!!! !